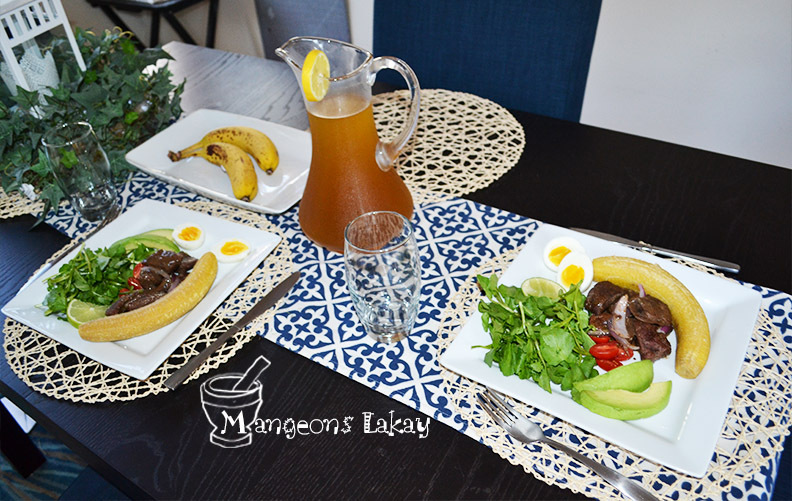 I woke up this morning wanting to cook my husband something typically Haitian. I was getting tired of the usual eggs, english muffins, bagels, cream cheese and bacon shenanigans! So I turned on some Haitian Troubadour. And jammed through my cooking! It turned out so gracefully beautiful! 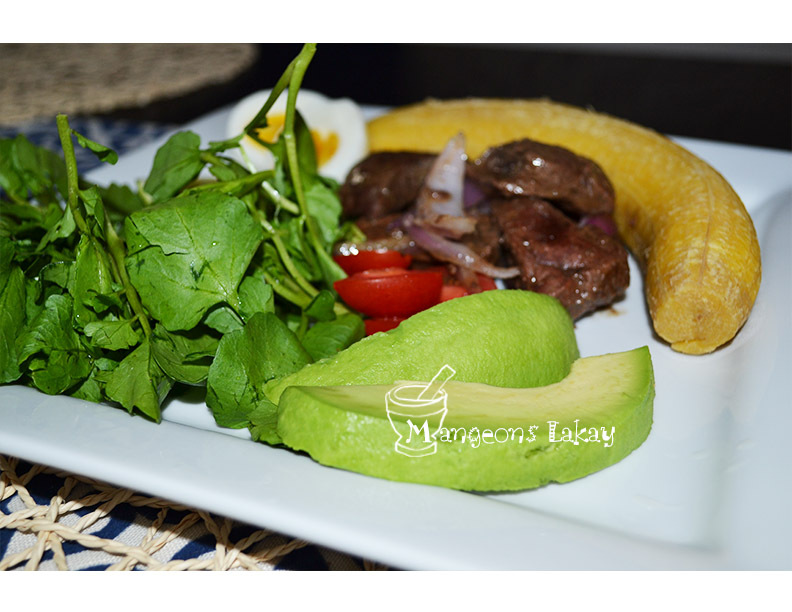 Although this particular dish is actually eaten as a BREAKFAST in Haiti, I chose to make of it a BRUNCH. It is so filling and charged with protein that it can cover both breakfast and lunch. But you be the judge of that! 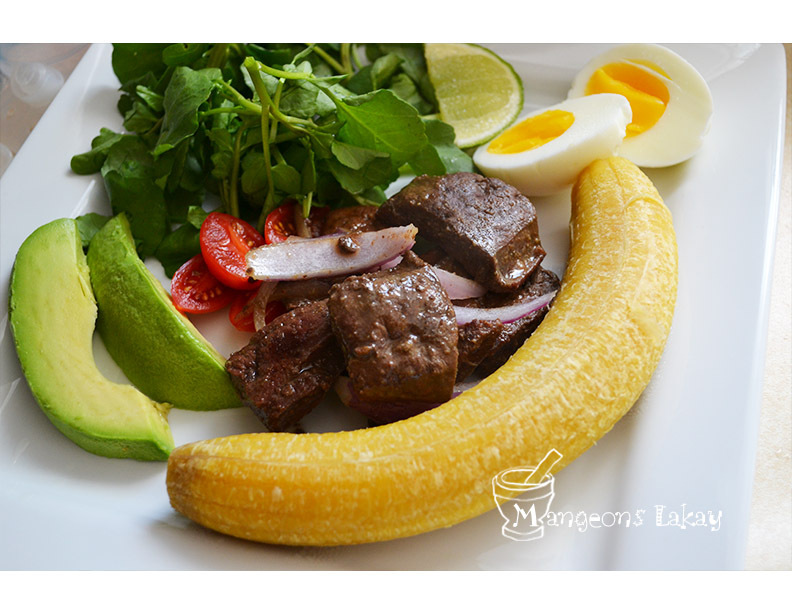 My all-time-favorite Haitian BRUNCH is “Bannann ak fwa ” which translates to “plantains with liver (most likely beef liver)”. 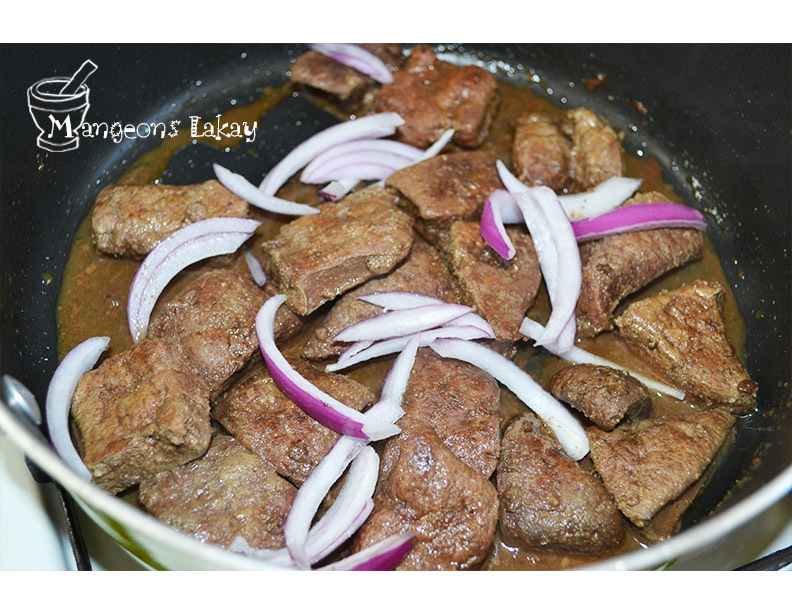 In my younger days, I wasn’t too fond of that dish because of the texture of the meat. Anything that was hard for me to chew, I wouldn’t eat. What can I say? I was a lazy chewer. However, through the years, I came to find out that there is “fwa du” (hard liver) and “fwa mou” (soft liver). It so happens that the difference between the two lies in the way it’s cooked. 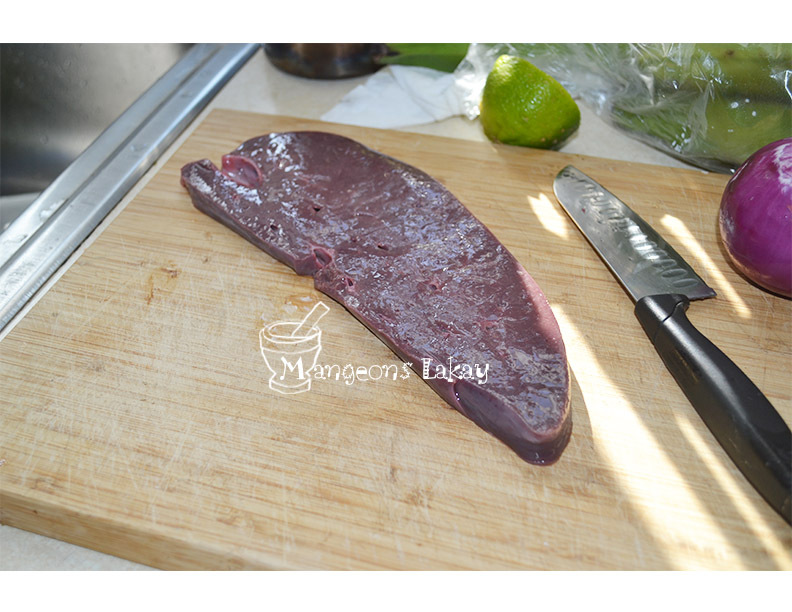 I will teach you how to prepare “fwa mou” (soft liver). Super quick and easy! 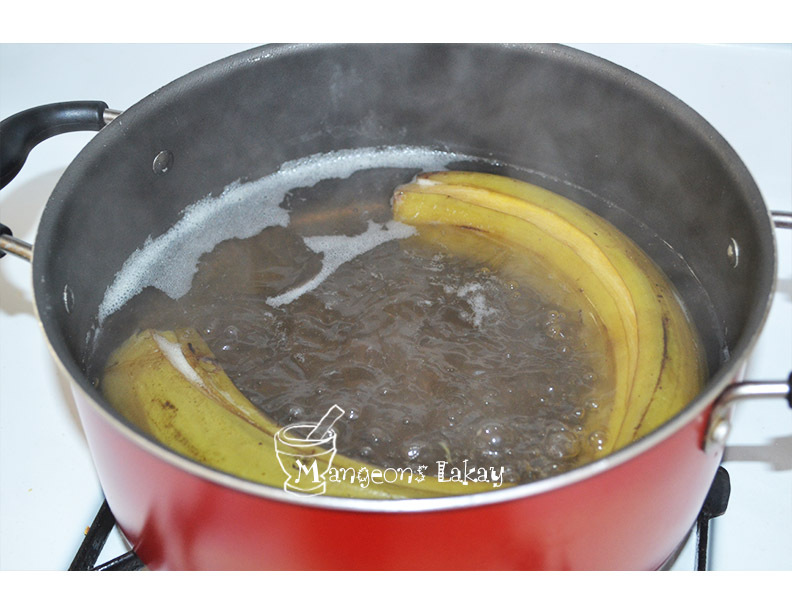 Bring about 2 to 3 cups of water to a boil and put your plantains in after slightly cutting the peel’s sides (this allows for the heat to go in and cook the plantains thoroughly , also allowing for easy peel-off. 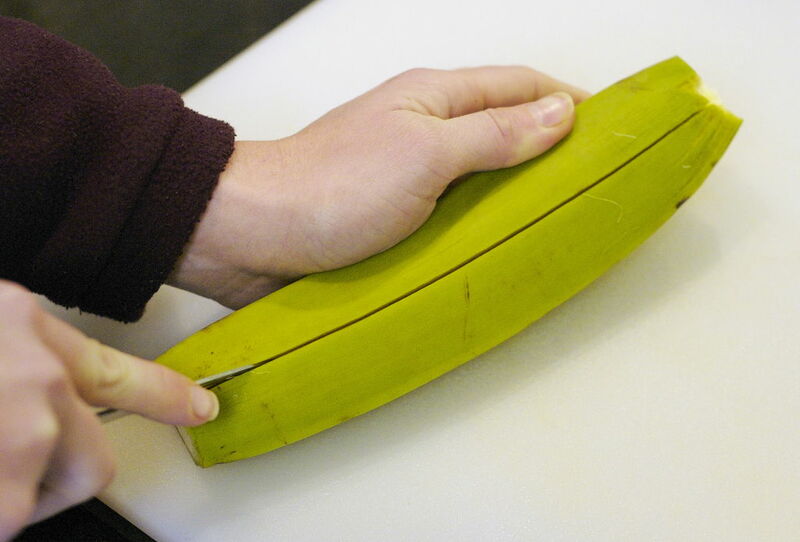 While your plantain is boiling, let’s prepare the meat . Shall we? 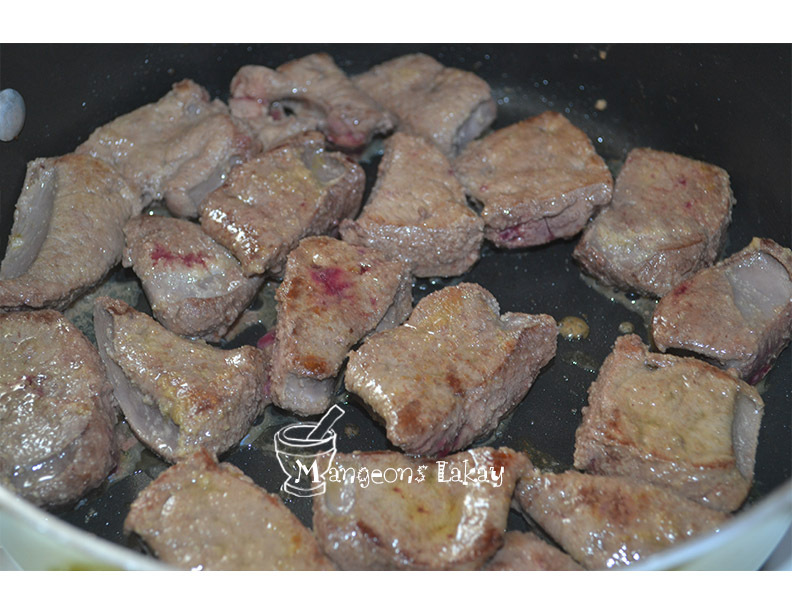 Cut the meat into small/medium pieces. 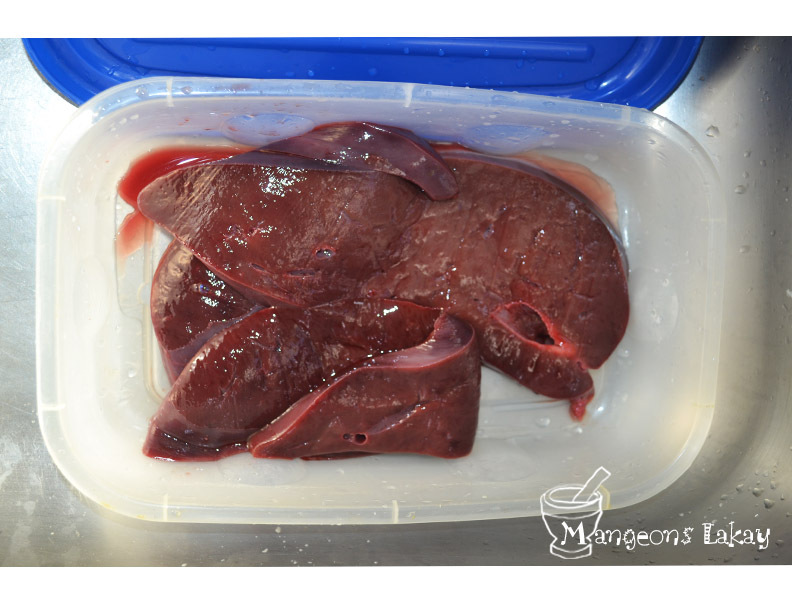 This part is actually interesting as the exterior of the liver is very soft but it has a coarse interior. Massage your salt and garlic unto the meat. DONE! lol ( not really, you actually have to cook the meat)— Also for that part, I think it’s safe to say that you can add any other seasoning of your liking. Bring a deep frying pan to medium/high meat (this is VERY important). 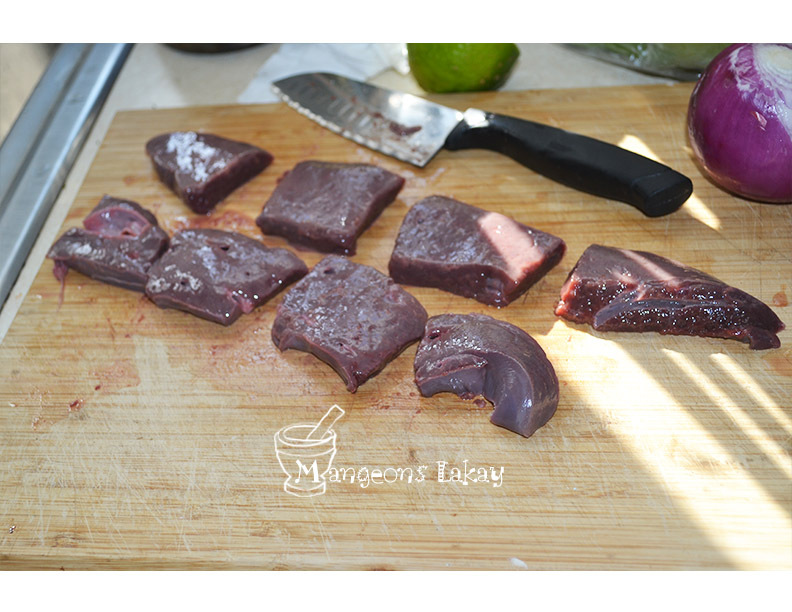 Pour in your olive oil and sauté the liver pieces for about 5 mns. 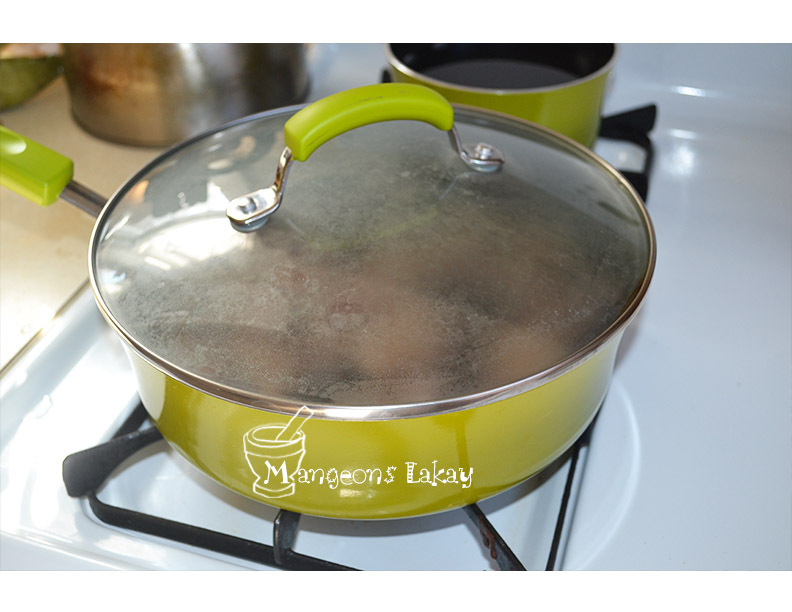 They will start changing in texture and that’s when you’ll know to LOWER the heat to low/medium temperature. While the meat is cooking, you can prepare the fruits and greens. Wash your watercress, clean your tomato(es), Cut your avocado. Oh and it could help if you boiled your eggs too. That’s if you’re actually cooking that. 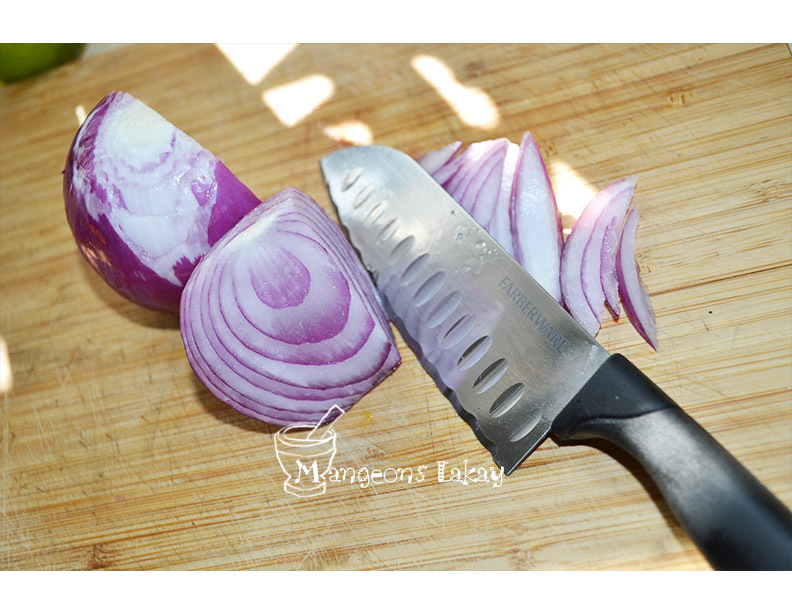 Cut your onions in lamella-like cuts. Pour them into the pot in the last 2-3 mns so as to keep them a little cripsy.